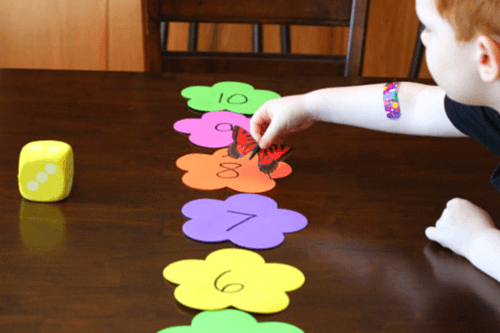 This butterflies and flowers number line activity is a great way to work on number identification, counting and adding with preschoolers. 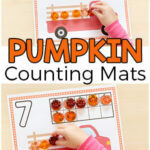 When Spring arrives, butterflies and flowers are kind of big deal with preschoolers. My son has enjoyed learning about their life cycle, their habitat, what they eat and more. We are actually just about to begin raising our own butterflies too! 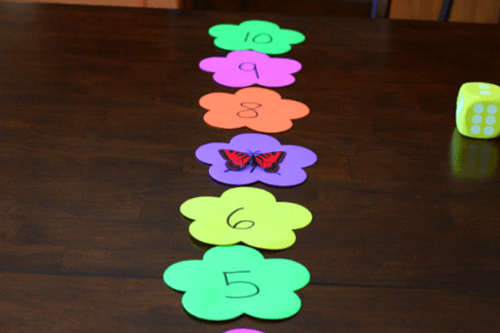 This fun number line activity is another way to incorporate butterflies into your learning activities. It only took me a couple of minutes to set up and Evan really enjoyed it. Perfect! 1. Write a number 1-10 on each flower. 2. 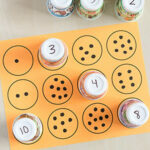 Line the flowers up from 1-10 on your work surface. 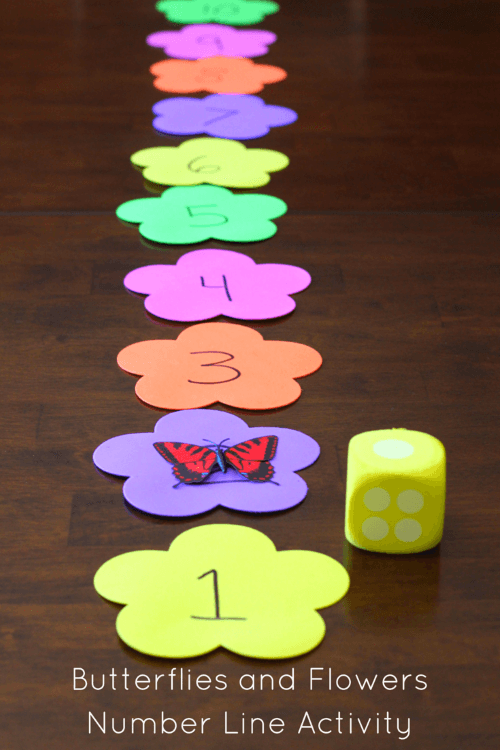 I instructed Evan to roll the dice and move the butterfly along the flower number line accordingly. 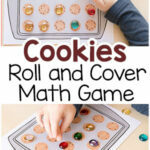 For example, he rolled a two and moved the butterfly two flowers. Then he rolled the dice a second time and got a three. 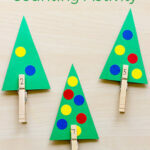 So he moved the butterfly along the number line three spaces. 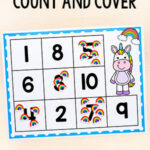 Finally, we talked about adding the two numbers together. 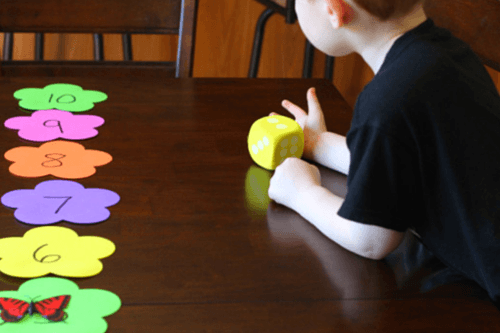 I explained that he rolled a two first and then added a three, so the sum of both numbers is five (where the butterfly was currently standing). We did this over and over again. 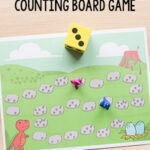 He liked trying to see if he could get to 10 on the number line with as few rolls of the dice as possible.